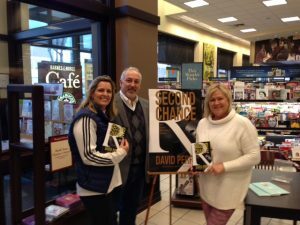 Would you like David to speak to your Group or a signed copy of one of his novels? I absolutely love this book and it’s writer. This book kept me on the edge of my seat; I literally could not put it down. I read it in a weekend. The author’s story telling makes you feel as if your are there witnessing everything firsthand. David Perry has become one of my favorite authors. 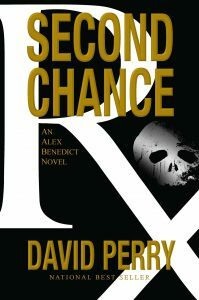 -David Perry is in a league with James Patterson. The Cyclops Revenge is a page burner, fast action and great story line. Love this author can’t wait for his next book!! 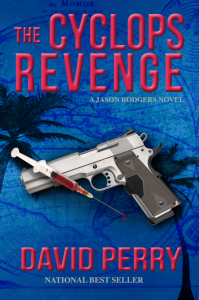 -David Perry's, The Cyclops Revenge: A Jason Rodgers Novel, is an intricate and extraordinary read that will keep you up late at night feverishly reading until the end. An absorbing and intricate cast of characters will make you wonder what motivates people to do what they do...and Perry's mastery of story-telling will keep you on the edge of your seat. A vividly imagined cast of characters and plot makes for an extraordinary narrative. Five Stars! A wonderful read if you are not checking into a hospital anytime soon, otherwise it might be prudent to wait until you are home! ...fast-paced and kept me awake all night long. What a thriller! I could not put this book down once I started reading...Hopefully this is not the last we have heard of Alex Benedict! There [are] not many books that keep me up reading all night, but this one I could not put down. It had my interest from the very first page. This is the best I have read so far this year. Looking forward to the next book from Mr. Perry. Shame I could not give it more stars than five. Reviews for The Cyclops Conspiracy… ...a pharmacist's death turns into an adventure of international proportions in this fast-paced thriller by new author David Perry...The Cyclops Conspiracy features a well-crafted plot, skillfully written action scenes, and credible characters. Perry unravels the storyline with increasing speed...Perry quickly builds–and deftly sustains–a momentum that will have readers engrossed in this page-turner. ...a top-notch thriller that you won't want to put down! 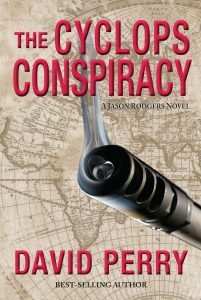 David has drawn on his two decades of experience as a pharmacist to craft, The Cyclops Conspiracy. Come behind the counter for a glimpse into the high-stress, fast-paced world of pharmacy.A graduate of one of the oldest and most prestigious colleges of pharmacy in the country, David has dedicated his life to helping patients better their lives through the use of healing medications in consultation with doctors and nurses in both hospital and community settings. David has experience in therapy treating HIV, cancers and diabetes. He is also a certified immunization pharmacist in Carrollton, Virginia.